It is hard to believe that August is right around the corner! Soon school will be back in session and we will be busy teaching students about D-Day and life on the homefront through our “Valor, Fidelity, & Sacrifice” educational program. Before that time comes, I would like to take a look back at our very hectic (but extremely fun, entertaining, and, most importantly, educational) Growing Up in WWII Summer Day Camp. 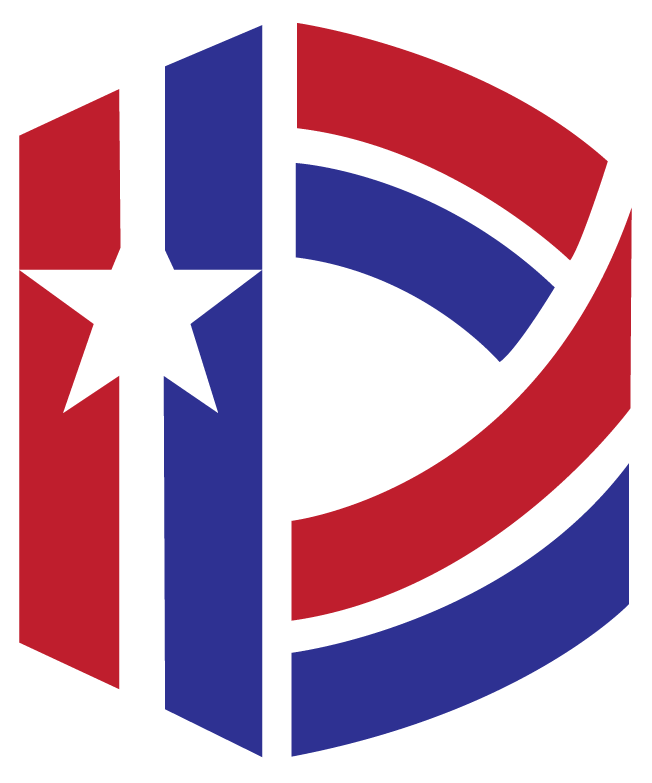 Some of you might remember that “Spies of WWII” was the theme for camp this year and I want to start new little segment where I will bring some of those spies and their accomplishments to light. First up is Virginia Hall. Born in Baltimore, MD in 1906, Hall studied French, German and Italian at Radcliffe College and Barnard College (Columbia University). With the help of her family, she continued her studies across the pond in France, Germany, and Austria, eventually gaining an appointment as a Consular Service Clerk at the American Embassy in Warsaw, Poland in 1931. In 1932, while hunting in Turkey, Hall shot herself in the leg, and latter had to have this leg amputated from the knee down. She resigned from the Department of State in 1939 and went to graduate school at American University in DC. In Paris at the beginning of the war, Hall made her way to London at the end of 1940/beginning of 1941. She volunteered for the Special Operations Executive which sent her back to Vichy controlled France in August 1941. For 15 months she coordinated the activities of the French Underground in Vichy and the occupied zone of France. Stationed in Lyons, every British agent arriving in France visited her to receive instructions, counterfeit money, and contacts. Her cover was a correspondent for the New York Post. Betrayed in November 1942, she had to use her own escape routes that she had established for getting endangered agents out of the country. Because of her artificial leg (codenamed “Cuthbert”) the Germans called her the “limping lady.” Before the escape, Hall signaled to the SOE that she hoped Cuthbert would not give her trouble. Not understanding the reference, the SOE replied “If Cuthbert troublesome, eliminate him.” Her escape to Spain landed her on the Germans most wanted list. In July 1943 she was made an honorary Member of the Order of the British Empire. 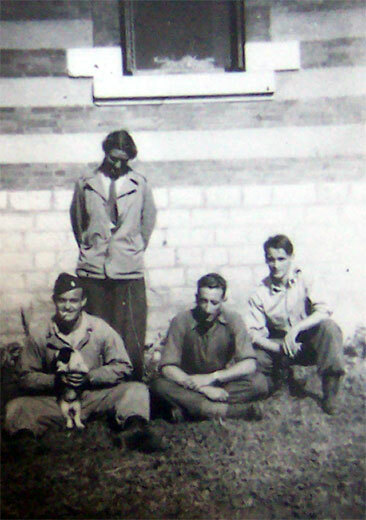 Hall (standing) and fellow OSS agent (and future husband) Paul Goillot (far right) with two Americans who parachuted into her area of Occupied France in 1944. In March 1944, Hall joined the Office of Strategic Services and asked to return to France. She needed little training and they agreed to send her back. Hall arrived in France via a British motor torpedo boat (her artificial leg prohibited her from parachuting in) and contacted the French Resistance in central France. She mapped drop zones for supplies and commandoes from England, found safe houses, and linked up with a three person “Jedburgh” team after Allied Forces landed in Normandy. Hall trained three battalions of Resistance forces to wage guerrilla warfare against the Germans and keep information moving to the Allied commanders. In September 1945, Hall became the only civilian woman in WWII to be awarded the Distinguished Service Cross. 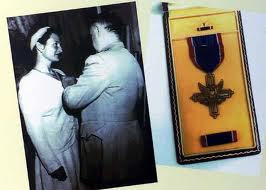 To President Truman’s dislike, the presentation of the award by OSS Chief General Donovan was secret because Hall was, in her words, “still operational and most anxious to get busy.” In 1951, Hall joined the CIA working as an intelligence analyst. She retired in 1966 from the CIA. Virginia Hall died on July 8, 1982. 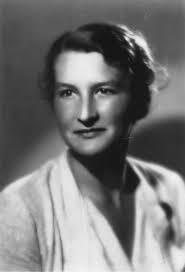 To learn more about Virginia Hall visit http://www.smithsonianmag.com/history-archaeology/hall.html#.